Home > Pre-Owned Vehicles > 2013 Toyota RAV4 Sunroof,Alloys,Keyless & More! 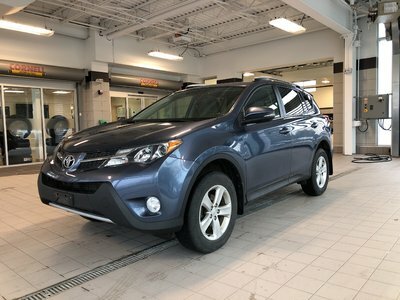 Details 2013 Toyota RAV4 Sunroof,Alloys,Keyless & More!. LOTS OF FEATURES -GREAT VALUE! This 2013 RAV4 FWD XLE has such convenience features like: Keyless Entry,Heated Power mirrors, Back up camera, Powered Sunroof/Moonroof, Premium Cloth seating, Alloy Rims and SO MUCH MORE! We have a great offering of finance and warranty options available, so click or call now to book your test drive. ALL TRADES WELCOME! !